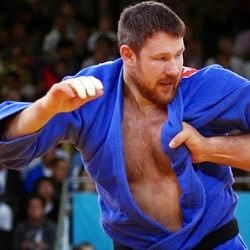 Six-time European Champion, three-time World Champion and silver medalist at the Olympic Games Alexander Mikhailin decided to put an end to his career. The early decision is due to an injured knee and shoulder. At the London Olympics he reached the final miraculously and ended with silver. Mikhailin will bring his experience to the Russian Olympic teams for the Olympic Games in Rio and Tokyo in 2020. Judo 2005 World Championships Cairo.